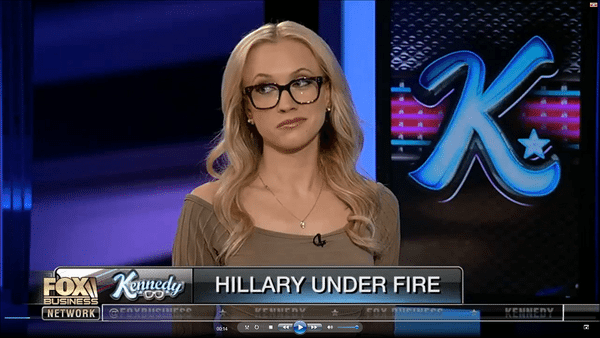 Kat Timpf is best known as that really cute girl with the black horn-rimmed glasses and her trademark crooked smile on various programs on the Fox News Channel. Other than being FNC’s vaper-in-chief and libertarian-in-residence, she’s also quite involved on the political scene of her adopted hometown of Brooklyn, New York. Unfortunately, other than a demoralized police force and a mayor enamored with communism, the Big Apple is also (in)famous for physical acts of violence against those who don’t tow the hyper-liberal line. Case in point would be the recent assault on the blond-haired, blue-eyed newser as she was scheduled to speak at a campaign event for her personal friend, Ben Kissel, who’s running for the borough presidency of Brooklyn. “I was there to do something for my friend,” Timpf said in an interview. “And this guy just comes up, it was very clear that he was there because he knew I was there ahead of time. He was coming there to come after me, which is the most terrifying thing about all of it. The man responsible has not been apprehended. Kat recruits for the newest branch of the Armed Forces, the Space Corps.